Even though spring has sprung, the weather is still chilly across many parts of the country. 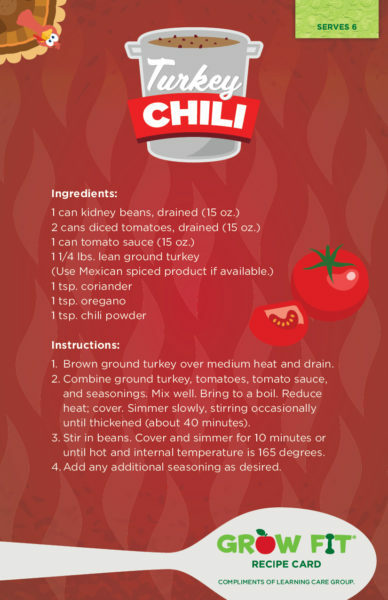 On days when temps dip a little too low, cook up this warm and healthy turkey chili from our Grow Fit menu! Click the image below to view the full printable PDF. Click here for more healthy and delicious Grow Fit recipes!